Andrew Dunn is the Founder of Scott Dunn which he started as a luxury ski company in 1986 and which has since become a tailor-made tour operator of luxury holidays around the world. If I’m not going to our London office, I’m up by 6.45am and drive my children to school. I’m usually in the office for 8.30am to look at emails and catch up with my PA to run through the appointments for the week ahead, answer letters and sign off any paperwork. I tend to travel a lot, developing our relationships with overseas suppliers. We are presently developing more Scott Dunn Children’s Clubs and OurSpace (a complete management solution for five star resorts who value professional childcare). 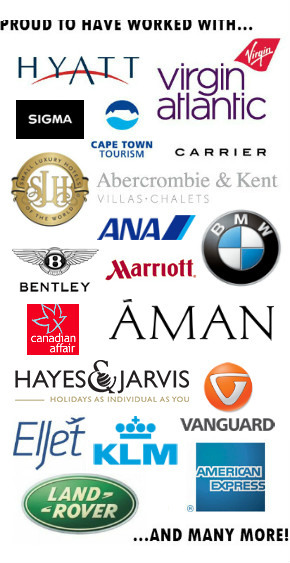 Another aspect of my work is meeting with key suppliers such as British Airways and hotel groups. I also handle all key relationships with partners such as Mercedes Benz and Laurent-Perrier. At the end of day, I review the days’ sales figures, then after supper clear down emails and plan for the following day. Overseeing the entire Scott Dunn experience and product offering. I’ve always been passionate about the details and ensuring our guests have the very best holiday. I’m now spending time looking after our loyalty programmes as our repeat business is phenomenal. I love skiing and I have wonderful holidays in Chalet Artemis in St Anton – the wellness area there is to die for. Africa is my second passion and the tranquillity and endless plains of the Masai Mara and Serengeti never ceases to amaze me. With a planet of six billion people it is just astounding how alone we can feel in Africa; there is something magical and godly about the place. I recently visited the Maldives for the first time and it is the consummate bucket and spade experience of the very highest order and truly sublime. I’ve been lucky to have eaten at a few chefs tables over time but the most memorable was sharing a joint 40th with friends at Gordon Ramsay’s Maze; however, we did walk out of there after countless delicious courses feeling twice the size. The answer is yes, but the one thing you should know about Scott Dunn is that we never talk about our guests. Peru is very high up on the wishlist. I’ve yet to see Machu Picchu – which is incredible given the length of time we’ve had a Latin America programme. Thank you for taking part in our interview series, Andrew, and well done for not ‘tripping up’ with the penultimate question! It must be lovely working around your passion. I have yet to go to Machu Picchu which is also on my top 10 list. I am back in the UK for most of August and half of September and would like to meet up for a chat. It’s unlikely we’ll find decent coffee like they do over here in NZ but we can try and find one if you have the time! I’ve also got some amazing pics of when I did the trek to Machu Picchu as it happens too.